Here at the HomeOwners Alliance we campaign to get homeowners and aspiring homeowners a better deal. That includes making sure your home – the biggest purchase of your life – is fit for purpose. For that reason, we think all developers should offer a snagging retention. Britain needs better quality homes, but the nation’s big house builders seem more focused on quantity rather than quality. Our annual HomeOwners Survey has revealed that 63% of us are now seriously concerned about the quality of Britain’s homes. It is the fasting rising issue of 2019 with fears over poor-quality homes now at a five-year high. There is overwhelming public support for ‘snagging retention’ with almost 9 in 10 (88%) new build homeowners and three-quarters (75%) of UK adults wanting a system to withhold funds to house builders until they rectify faults. The recent (April 2019) New Homes Review found that 91% of new homes have snags and defects and the Home Builders Federation latest survey shows the number of people who say they would not buy from the same builder again doubling in the last year. We are inundated with calls from our members about shoddy workmanship and flawed properties. But it is currently very hard to hold developers to account – especially once you have parted with your money. As a result, we also hear constant complaints about developers who fail to fix faults ranging from poor finishes and ineffective insulation to dangerous electrical and structural problems. One way to tackle poor quality new build homes is with snagging retentions, which is why we have been spearheading a campaign for Snagging Retention. What is a snagging retention? A snagging retention is a legally binding agreement where new build homebuyers retain a set percentage of the cost of their house until faults are fixed. They would only hand over this amount – which the HomeOwners Alliance believe should be at least 2.5% – six months after they have moved into their new home. This creates a powerful incentive for builders to get build quality right first time, or – at the very least – put problems right when they are flagged up by homeowners, rather than ignoring their complaints to see if they’ll go away. If things aren’t put right, or if the homeowner wants to sort them out themselves, then they should have the option to deduct their costs from the minimum 2.5% snagging retention. Snagging retentions are common practice with commercial or housing association clients of developers but are not generally available to individual new home buyers. Homeowners looking to extend their home or carry out major refurbishment generally look to hold back a retention, as recommended by the RIBA domestic building works contract. Snagging retentions exist and need to be made part of the new build home buying process. Our 2019 Annual HomeOwner’s Survey, sponsored by BLP Insurance and polled by YouGov, found that almost 9 in 10 people who own a new build home support the idea of snagging retention. Even people who’ve never owned a new build are concerned about shoddy quality, with 76% of the general population in favour of snagging retention being introduced. ‘Snag’ is the general term used for defects in a new build property. It can cover anything from a cracked tile to a leaky tap to more serious problems, such as missing loft insulation right through to issue which have structural implications. You can find out more with our guide to snagging. Does anyone offer snagging retentions? 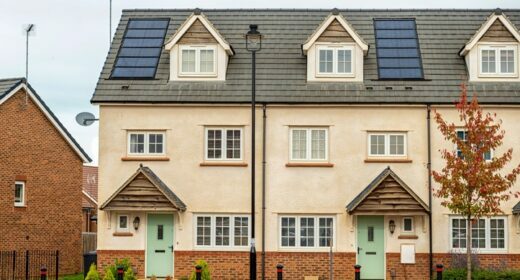 In March 2019 Persimmon announced that it would become the first major house builder to offer a ‘homebuyer’s retention’. It will allow a buyer’s solicitor to hold back 1.5% of the purchase price until “any faults identified at the point of key release are resolved”. We welcome Persimmon taking this step in the right direction and we look forward to hearing more about how this will work in practise. But we feel a retention of 1.5% is too low. Persimmon estimate that 1.5% will represent an average £3,600 per property. For a company that made a profit of £66,000 per house last year, £3,600 doesn’t seem like enough financial incentive to fix faults. We are also concerned about the fact Persimmon says the retention will only cover “faults identified at the point of key release”. Most developers don’t allow people to inspect their new build before the completion date – often because they are still building it. So, expecting people to inspect and produce a snagging list the day they move into their home is setting people up to fail. We would be happy to work with them and all other new build home developers to create a fairer snagging retention. Our concern is that if house builders bring in voluntary snagging retentions, they can set their own terms. That means they can skew the retainer in their favour. They can make the amount held back small enough to have little effect on their bottom line. They can also set unrealistic deadlines for identifying problems in the build. This is why we want the government to make snagging retentions compulsory. That way the terms can be laid down by an independent body so that they don’t unduly favour the builder. This could be a first task for the New Homes Ombudsman government has committed to setting up. We first started calling for home buyers to be given the right to retain 2.5% of the cost of their property until snags were fixed back in 2017. Back then we were concerned that developers were taking a short-term view and building shoddy houses that wouldn’t stand the test of time. “Too often, new homes are built to low standards, with small rooms, paper-thin walls, inadequate heating and poor-quality workmanship, with other problems that emerge only after moving in,” Paula Higgins, Chief Executive of the HomeOwners Alliance said in 2017. Unfortunately, nothing has changed since then. The house building industry is not going to force snagging retentions upon themselves – at least not in a meaningful way – so it is time for the government to step in. At present people have more rights if they buy a toaster than if they buy a house and that needs to change. Find out more about your rights when buying a new build and what you can do if you have problems with your new build. You can read more about our Campaign for Better New Build here. Snagging retention “gives the builder an incentive to build to a good quality in the first place and avoid the expense and inconvenience of returning to do snagging work”. Others claim a snagging retention is all too difficult. And the construction industry is currently lobbying to abolish retention payments as a result of the collapse of Carillion – a large contractor that didn’t pay their suppliers. But there are other ways to ensure contractors are paid – for instance by requiring the retention funds to be set aside in a separate account. What can I do if I have problems with my new build home? Read our guide on How to fix problems in a new build home, which covers everything you need to know. We also strongly recommend an independent snagging survey. Why not start a parliament petition. And publicise. I’m sure it would get the required votes and make MPs debate it. Govt and builders in collusion over this. Just look at finding given via Homes England. Rotten system needs changing and each individual feels disenfranchised and lost in the system. Two years I’ve fought. And repairs not then guaranteed for the two years once botched up.